The Translam College of Law, Meerut is one of the reputed law colleges in Uttar Pradesh. It was established in 2002. It offers Bachelors Courses in law discipline. The Translam College of Law, Meerut is accredited by the Bar Council of India. The Translam College of Law, Meerut provides quality education to students. It recognises talent and creativity in students and nurtures them. The college library has a huge number of books, magazines, and journals from India and abroad to keep students updated. They are given ample opportunities to get practical experience in law-practising. They have access to collections of case studies and research papers. There are separate hostels for boys and girls. Also, there are the moot courtroom, Computer Lab, sports, research facilities, and clubs for students. Students should have completed 10+2 or Degree from a recognised board /college/ university to become eligible for admission in the Translam College of Law, Meerut. 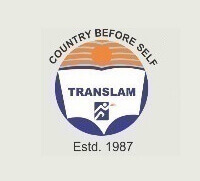 Translam College of Law, Meerut.